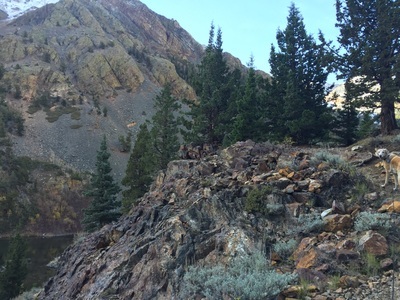 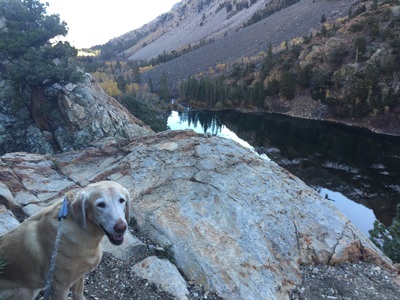 Parking: Follow Lundy Lake Road off of Highway 395 for 5 miles until you reach a small campground and general store. 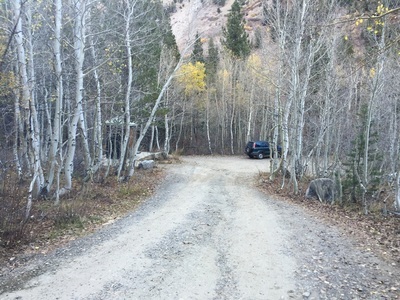 From here, continue up a rocky dirt road for 1.5 miles, past the lake. 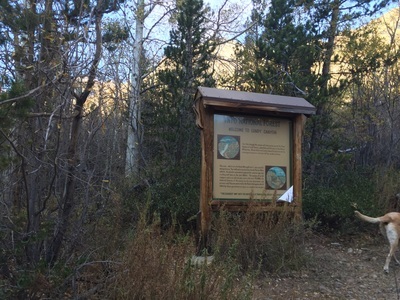 You will reach a loop at the end, with free parking along it, and the trailhead is marked in the center of the loop. Description: There is a lot of scenery packed into this relatively short hike, beginning in the flower-lined meadow, skirting along the lake, and snaking up along the ridge with a 70 foot waterfall and snow-capped mountains as the backdrop. 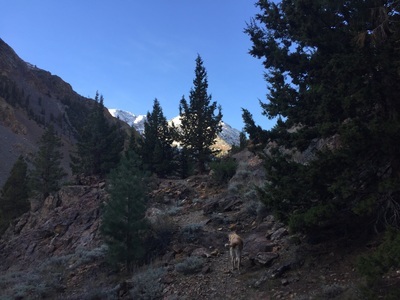 From the trailhead, you will follow a tree-lined trail with a gentle incline and in about half a mile you will already begin to see the waterfall. 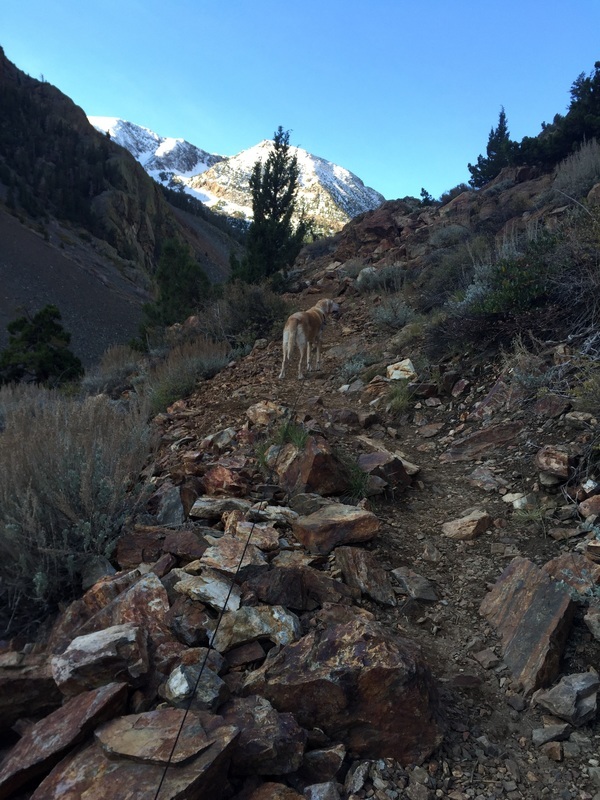 Soon the trail begins to snake upwards along the ridge, and the rocky trail can can be steep in some areas. 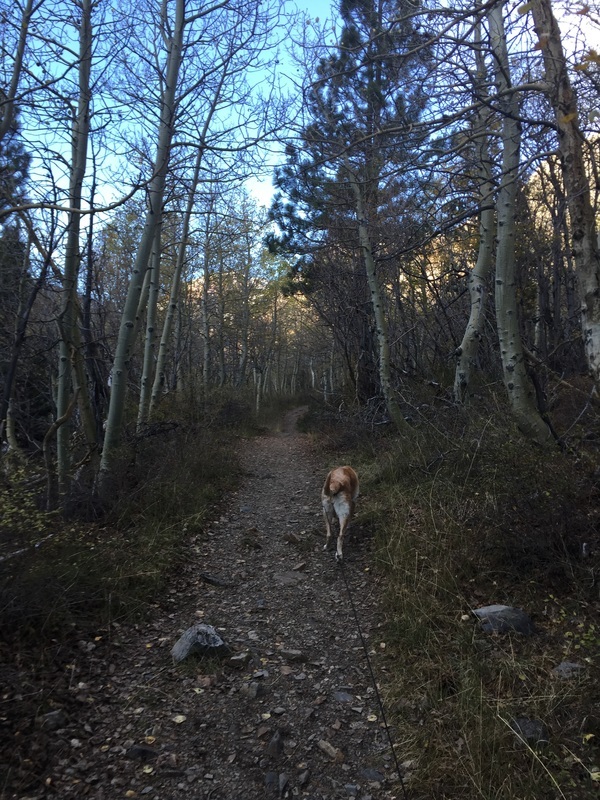 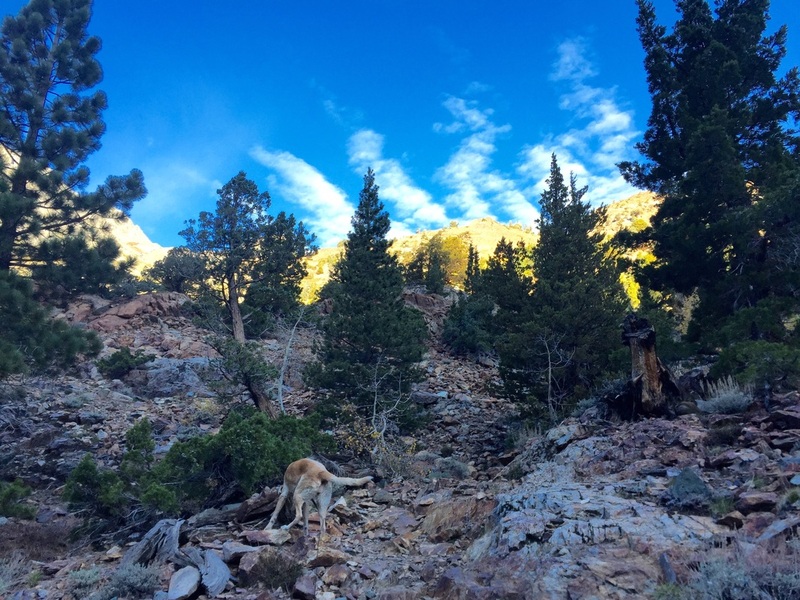 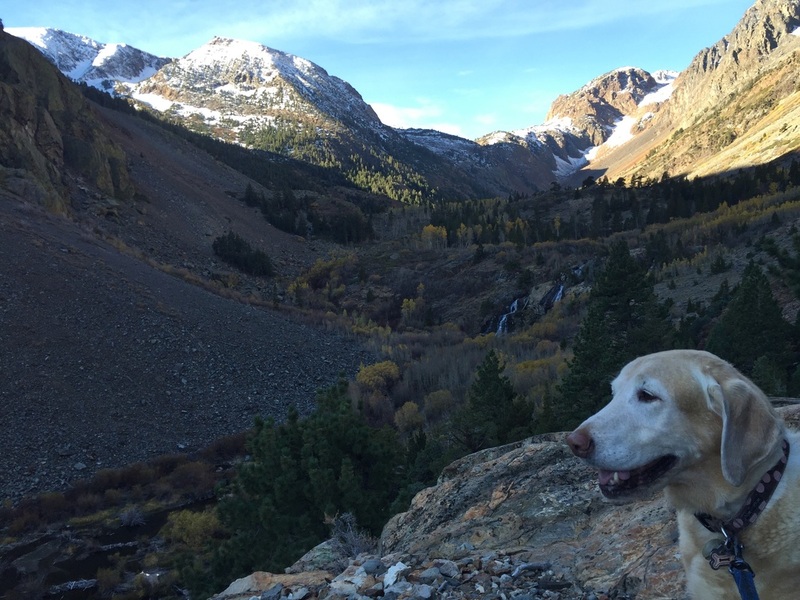 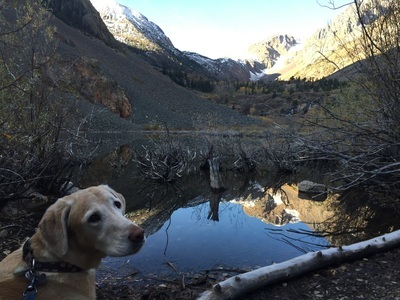 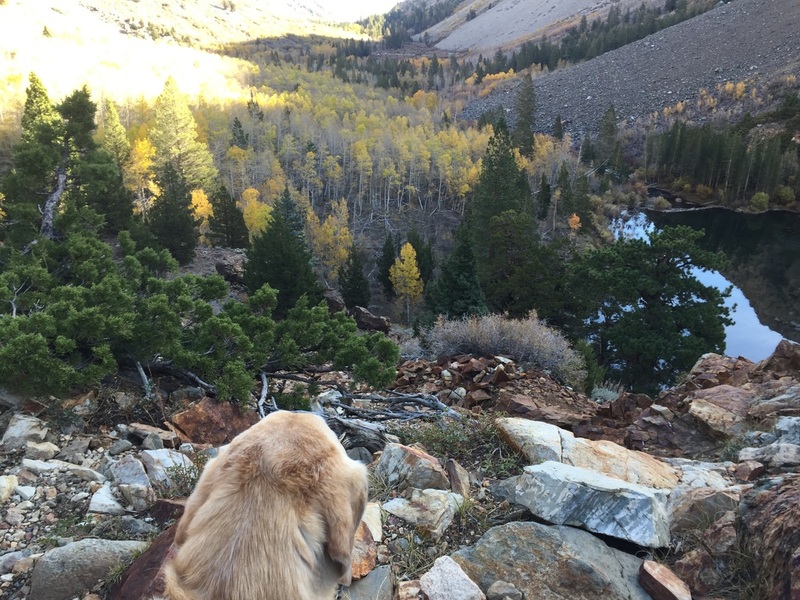 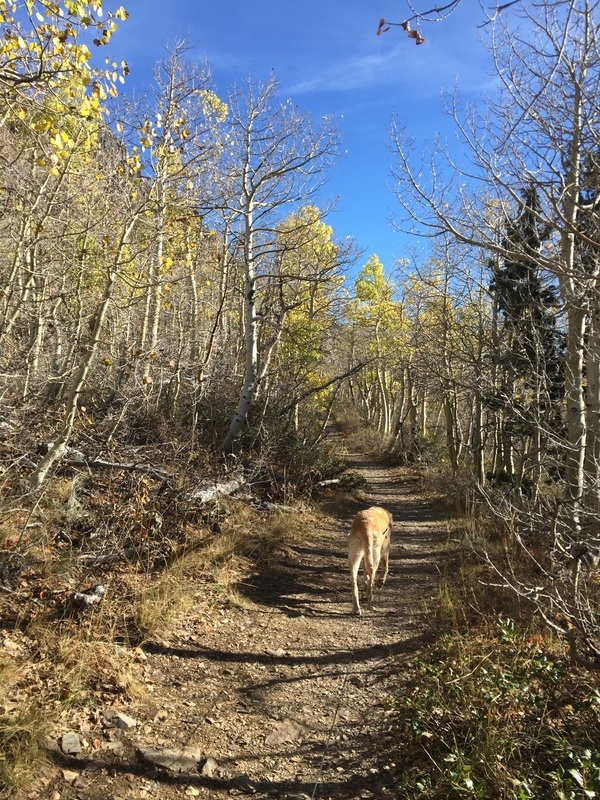 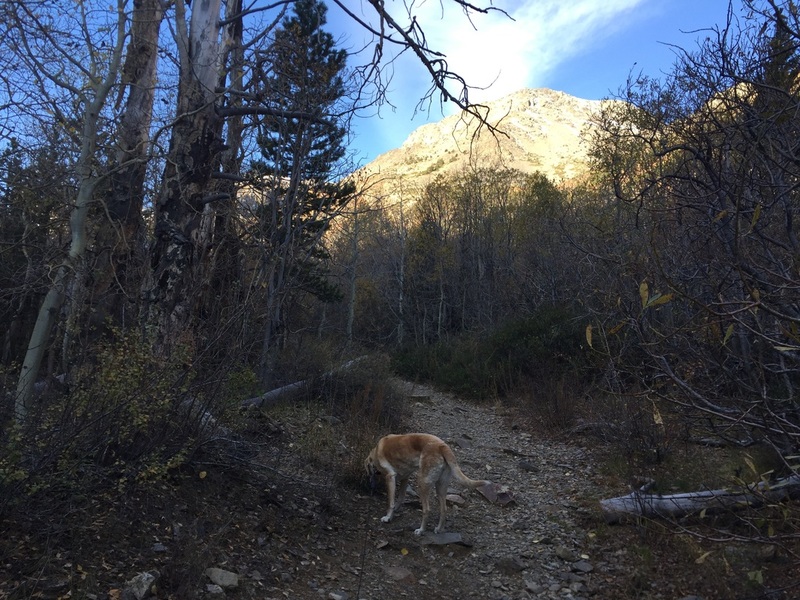 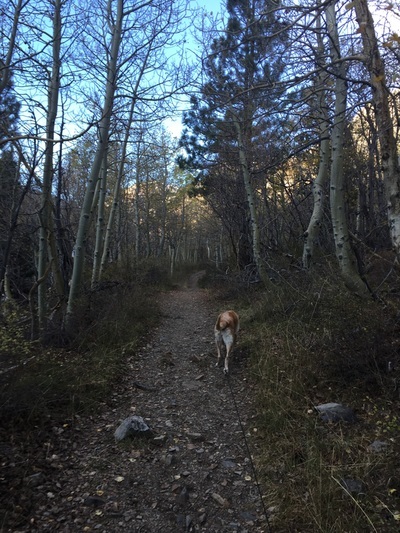 You can hike as long as you desire, or turn back after on the Lundy Canyon trail and return to the trailhead for a 3 mile hike. Some of the surrounding trails are challenging, but they're scenic and lead to other lakes in the surrounding area. 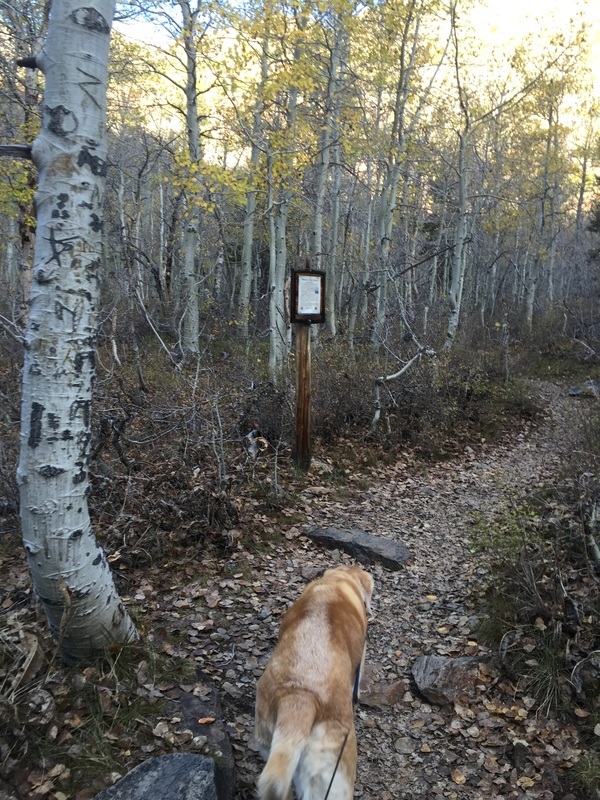 See trail map above for connecting trails. There are no restrooms or faucets at the trailhead, so bring plenty of water.